The Serenity Prayer has brought much hope and peace to those who choose to speak it. Whether you're on the path to sobriety, helping your spouse (& YOURSELF!) through the recovery process, or watching a friend from the sidelines, this visual reminder will serve as a great tool of ENCOURAGMENT. When it comes to addiction, we need all the help we can get - those addicted, their spouses, their family members, and their friends. 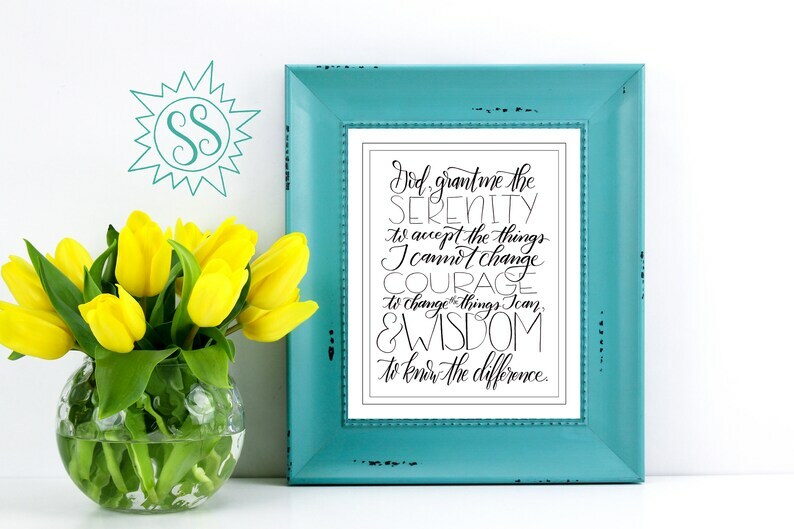 Help a friend OR yourself, and purchase this beautifully handlettered prayer to display in your home or office.